This is the mantra of progressive community foundations throughout North America. Deploying more of our assets to achieve our mission, forging new and unconventional partnerships to understand and tackle complex social problems, and playing more active leadership and catalyst roles within our communities are a few of the strategies that community foundations are implementing as they strive to increase their impact and maintain their relevance. Hamilton has been receiving increased attention across the country for its revitalization as a city. This positive trajectory has been fuelled by innovation, collaboration and strengthened self-image of what we want in our city. 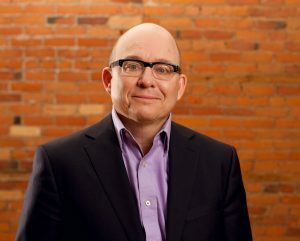 This has created an ideal platform for expanding the power of philanthropy to “do good” and Hamilton Community Foundation has stepped up to the plate, playing a variety of roles including: catalyst, funder, advocate, strategist, and service providers in our combined efforts to build a strong and vibrant city. We believe this is the right thing for us to do. We also believe, and survey results support, that this is what donors want and expect from the charities they support. Donors want their gifts to have impact. While it is important to address immediate needs, donors also want to ensure that complex issues are better understood and strategies that create transformative change are implemented. And finally, donors expect leadership. Philanthropy is making a powerful difference in our community. Perhaps there has never been a more critical time for this type of leadership, investment and voice. Thank you to all the generous Hamiltonians who help make this possible. You are making a difference. Over 100 people gathered for breakfast on November 16th to celebrate women’s philanthropy, an annual event hosted by Hamilton Community Foundation’s Women 4 Change initiative. 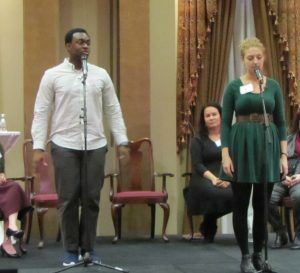 The theme was Driving Positive Change is an Art and the audience was treated to three powerful performances using video, poetry and music that spoke to important issues that affect the lives of women and girls in Hamilton. Among the themes explored were sexual violence; why we laugh at things that are clearly not funny; and the difference between “them and us” which very often results from nothing more than circumstance and opportunity. Audience members shared their personal experiences, affirming the themes presented by the artists. The artistic vehicles served to heighten both the poignancy and the urgency of the issues. So too did the conversation that followed in which a number of people spoke of the impact the recent US presidential campaign and election results have had on their sense of who we are and want to be as a society. 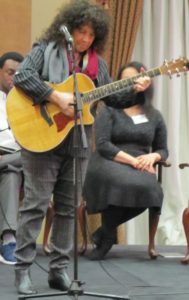 Some expressed that the gathering and the artists’ messages gave them hope for the first time since the election – and strength that came from being in a room where others shared their experiences, concerns and commitment to change. There was an energy in the room following the performances that was palatable and invigorating. We all need these opportunities to be reminded that we cannot become complacent in our desire and efforts to create a society where all have opportunity and are treated with respect. Philanthropy is one vehicle we have to identify what is important to us, use all of our assets (time, talents, treasure and ties) to make a difference and then to join with others who share our interest and leverage our impact. Perhaps there has never been a more important time for philanthropy’s leadership and for all of us to raise our voices about the kind of society and communities we want to have in Canada. In today’s economy, there are no guarantees of a financially secure adulthood for anybody, but chances improve dramatically with more and better education. It is therefore more essential than ever for students to obtain post-secondary education – college, university or a skilled trades apprenticeship. Earlier this year, the Ontario Government announced that it would begin providing free tuition for low-income students to attend post-secondary school. This is welcome news, of course, but by itself it likely will not do much to change rates of post-secondary attendance for low-income students. There are lots of reasons why children from lower-income families attend post-secondary school at lower rates than children from higher-income families, and lack of funds for tuition and books is only one of them. There is a whole network of economic, institutional and cultural barriers that keeps children from achieving their potential. Far too many Hamilton children are being held back by this network of barriers. While the percentage of Hamilton adults who have not completed any post-secondary education is falling (from 15.7% in 2006 to 13% in 2011), there are still a number of Hamilton neighbourhoods in which low educational attainment is highly concentrated. In other words, there is a lot more we can do to set the next generation of students – every student – up for success. A new collaborative initiative of the Hamilton Community Foundation and The Fairmount Foundation called ABACUS aims to identify and remove those barriers to open up better educational opportunities for more children. ABACUS has the ambitious goal of aligning Hamilton’s school boards, post-secondary institutions, municipal government and community service providers around the specific goal of ensuring that more students complete high school, graduate and go on to post-secondary education. Research into the effectiveness of early intervention strategies for students finds a number of components that are most commonly part of successful programs: a dedicated mentor who guides the student toward success; a curriculum personalized for the student’s learning needs; awareness and sensitivity of the student’s family culture; a positive, supportive peer group; financial assistance through incentives that include scholarships and grants; and a long-term commitment to maintaining the intervention through the student’s school experience. Taking its cues from the evidence, ABACUS takes a proactive approach, starting early with children in middle school (grades 6, 7 and 8) to support children through this challenging period of development for a successful transition into high school. The goal of the intervention is to: get both students and their parents thinking about post-secondary opportunities; encourage students to meet challenging, realistic goals for their education; help them prepare by developing their academic skills; support them with mentors, counsellors and extra-curricular activities; and provide financial supports where needed. Instead of duplicating other efforts already underway, ABACUS is working with existing community programs that support its core intervention pillars to expand their reach, refine their delivery methods and foster better co-ordination between service providers. For students who face the biggest challenges, a pilot program called Grad Track aims to deliver more intense programming and support for both the child and their parents to ensure they stay engaged with school. But it’s not enough just to work directly with students. ABACUS also recognizes that the school and community systems in which students live and attend school need to be designed to ensure success for everyone. ABACUS works with educational providers to identify the gaps that kids can slip through, develop policies to close those gaps and then advocate for the changes that are needed. There are a lot of systems that shape the lives of children attending school – the policies of the school board, of course, but also the way the municipality plans the child’s community, the availability of college and university outreach programs, and institutional decisions about where and how educational resources should be deployed. 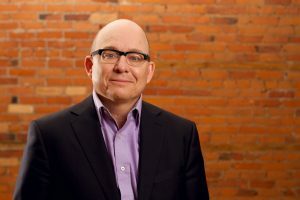 Hamilton Community Foundation has a long and proud history of bringing various stakeholders to the table to tackle complex, difficult social challenges, and I’m especially proud of the work we’re doing with ABACUS. 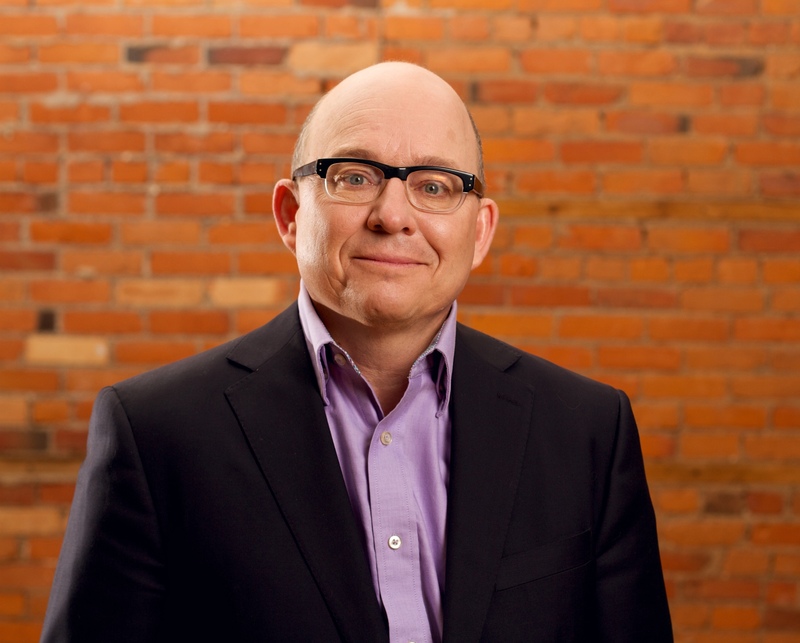 Terry Cooke is President & CEO at Hamilton Community Foundation. Originally published in Urbanicity July issue. International migration is driving Canada’s population growth. 19.8 per cent of Canada’s population is made up of immigrants, with women accounting for 52 per cent of the international migration. Locally, Hamilton has seen a 20 per cent increase in migration between 2011-2012. Despite the growth, immigrant women encounter challenges integrating in a new country, as the McMaster University School of Social Work has identified. Gender relations, intimate partner violence, intergenerational tensions, trauma, loss and economic exclusion are some of the challenges that immigrant women face. Research also shows that immigrant women face acculturative stress as they adapt to changes in diet, climate, language and more. These challenges can affect their self-esteem, sense of identity and belonging, and their mental health. Through the Community Health, Education and Research Fund, McMaster launched a research project to learn ways to enhance the mental health of immigrant women in Hamilton. The overall purpose of the project is to help build a healthy, caring and inclusive community and foster social and economic integration of immigrant women. By partnering with community organizations that have direct contact with immigrant women and knowledge of the local settlement sector, such as the Immigrants Working Centre, this 18-month research project also aims to strengthen campus-community partnerships and broaden ways to share outcomes gained from the research. The project will utilize popular theatre as a way to share findings from the research. This art form is both educational and empowering, as it involves the audience as participants. Immigrant women themselves will perform the skits and this serves as an entry point to a larger conversation about the intersection of immigrant women, mental health and wellbeing. While the project looks at mental health of immigrant women locally, McMaster hopes to use this study as a stepping stone to encourage integration of best practices in health and social services, and to inform local and municipal policy. On Bell Let’s Talk Day, we’re sharing a grant story from our archives as part of the conversation on mental health. We’re proud to continue our support to this critical program that helps reduce barriers to mental health services for Hamilton youth. It’s described, at least on paper, as a mental health program. But for the high school students seeking help, the first visit is often about something low-risk and straightforward—a sore throat or a sprained ankle. Nurse practitioner Sue Grafe works part-time at the clinics, one at Sir John A. MacDonald and the other at Cathedral. Once students know it’s safe, they’ll open up about other issues, she says. Depression. Anxiety. Bullying. Their experiences as newcomers to Canada. Community Foundations of Canada’s national Vital Signs report, some 3.2 million Canadian 12- to 19-year-olds are at risk for developing depression, yet three out of four children and youth who need specialized treatment services do not receive them. The prevalence of mental health problem among Canadian children and young adults is staggering; Statistics Canada reports that youth aged 15 to 24 experience more mental health or substance abuse disorders than any other age group. Adolescence is often the time when many people experience their first signs of mental illness, and that’s why it’s important to treat it before it has a lasting impact on a person’s life. St. Joseph’s Hospital Youth Wellness Centre wants to ensure that youth always have access to the mental health services and care they need. At the centre, clients can access care without a doctor’s referral, a crucial difference as only one in four youth with mental illness tend to seek help due to stigma and other barriers. A HCF grant is helping the centre expand its services, to establish a resource lounge to create a youth-friendly welcoming environment. Here young people can find resource materials, without feeling stigmatized. With support from HCF, the centre has also established a Youth Empowerment Fund, which provides financial support for youth to take part in various activities that support their personal goals as they set on the road to recovery and healing. The fund also helps youth to meet and celebrate small goals that act as stepping stones to a larger goal achievement in their managed recovery. This editorial appeared in last Saturday’s Hamilton Spectator. I hope you will read our Vital Signs report tomorrow on hamiltonvitalsigns.ca. But not everyone is sharing in this prosperity. A new report for Hamilton Community Foundation by Sara Mayo of the Social Planning and Research Council drives home that there are really two Hamiltons: one city reaping the benefits of the new economy, and another city being left farther and farther behind. Hamilton’s employment rate – the percentage of all working-age residents with a job – is slightly better than the Ontario average, but 57 percent of Hamilton workers have insecure employment with unpredictable hours and little to no benefits or sick pay. For many Hamiltonians, the main effect of the renaissance has been to drive up rents and reduce the number of rental units through condo conversions. Even when apartments remain rentals, affordable units are disappearing due to evictions and upscaling renovations. In the past year the rental vacancy rate in Hamilton shrank from 4.5 percent to 1.8 percent, while rents for available apartments jumped 4.1 percent. 32 percent of Hamilton households rent (compared to 22 percent province wide) and 43 percent of Hamilton renters pay more than 30 percent of their income on rent. Among the lowest income renters in the city, a staggering 69 percent of their income goes to rent. Income inequality has increased significantly across the entire developed world over several decades. But as Richard Harris, Jim Dunn and Sarah Wakefield demonstrate in a June 2015 research paper, Hamilton is faring worse than most Canadian cities. The Hamilton Census Metropolitan Area (CMA) has gone from being one of the most equitable in Canada in 1980 to one of the most unequal today. Hamilton now has one of the highest levels of income disparity between neighbourhoods. So Hamilton has become one of Canada’s most inequitable cities, and the inequality is highly polarized across neighbourhoods. This was the central message of the Spec’s Code Red report, which found a staggering 21-year difference in life expectancy between the city’s richest and poorest neighbourhoods. So what do we need to do differently and how do we ensure that the prosperity from this renaissance reaches more inclusively across Hamilton? We can start using some policy tools right away to reduce neighbourhood inequality: zoning new developments and rezoning existing neighbourhoods to encourage more mixed housing options; ensuring that social services are distributed through the city rather than concentrated in one spot; and investing in high-service transit across the entire city. Every neighbourhood in Hamilton can and should include affordable housing and provide mobility without every adult needing to own a car. The Provincial commitments for all-day GO train service and light rail transit present a tremendous opportunity to intensify our neighbourhoods with new mixed-income housing that works for families as well as young singles. Education can also help close the gap. Our schools reflect the polarization of our neighbourhoods, and concentrated school poverty is devastating for academic performance. Our school boards must continue to reduce concentrated poverty and graduate more students by thoughtful boundary adjustments and by placing desirable programs of choice in schools located in low-income neighbourhoods. For employment, the City and key institutions should commit to paying their employees a living wage. But we also need better private sector jobs. That means getting better at attracting good employers to locate here, and also at cultivating new local start-ups. We need to attract and retain more postsecondary graduates and especially more immigrants, who disproportionately tend to be entrepreneurial. The City recognizes it needs to do better at reaching out to new Canadians and innovative institutions like Mohawk College are also seizing the opportunity to play key roles. Ultimately, Hamilton can’t meet these challenges on its own. We need strong commitments from the Provincial and Federal governments to reverse the decades-long increase in poverty and inequality. With a federal election coming up, this is the perfect time to talk about a national affordable housing strategy, which Canada had until it was scrapped in the 1990s. Affordable housing does not just mean social housing: crucially, it also means ensuring that private-sector housing, including rental accommodation, remains widely accessible. The evidence is clear. Poverty by postal code is taking an enormous toll on Hamilton’s health and wellbeing. We know that policy tools exist that can begin to change this trajectory so that all of our citizens share in our newfound prosperity. The question is do we have the courage and the political will to act? In celebration of International Women’s Day, we are re-posting this editorial which originally appeared in The Hamilton Spectator. On National Philanthropy Day in 2012, the Hamilton Community Foundation launched a new initiative called Women 4 Change. Founded by a group of ten local women, Women 4 Change’s mission is “inspiring and enabling women of Hamilton to become leaders in philanthropy, improving the lives of women and girls in our community through collective giving.” It has been inspiring to listen to the voices around the table as this initiative has taken shape. The women vary in age, life experience, and the part of our city they call home, but they all share an aspiration, passion and compelling sense of urgency to see improved opportunities and outcomes for girls and women in Hamilton. Anecdotal and formal data underscore the important and timely nature of this initiative. In a research paper commissioned by Women 4 Change, Dr. Sarah Wayland provides an overview of the context of women and girls in our community. She notes that while they comprise just over half of the population of Hamilton, the unique challenges they face often go unnoticed and unaddressed. Dr. Wayland summarized key pieces of local research that define female experiences and issues throughout the life cycle as well as issues that cross all stages. Particular findings jump from the pages of this report, including the fact that while girls tend to do better academically than boys, they experience significantly more stress. Risk-taking behaviours during their youth affect them far more negatively (e.g. resulting in pregnancy, single parenthood) and, regardless of circumstance, they are ultimately out-earned by men in the labour market and are less represented in positions of leadership across all sectors. Women also are negatively affected by the outcomes of poverty across all stages of the life cycle, with older women twice as likely to be living in poverty as older men. So how does philanthropy answer this? And why now? A scan of recent media as well as research reflects that while women have historically been volunteers and active members of their communities, there is a new emergence of female philanthropy that is unprecedented in North America. In her research on women and philanthropy, Tricia Tomson, from the Center on Philanthropy at Indiana University, traces the historic roots and trends in this area. As others, she notes the dramatic recent changes in women’s personal wealth. No longer is their philanthropy tied to the wealth of their husbands or fathers, but rather it is a product of women’s shifting economic position, education and social roles and in turn, a changed way of thinking about money and influence. Today, women across North America are taking greater control over their philanthropy and seeking ways to give and influence change that are in line with their own values, perspectives and priorities. While there is debate about gender differences in philanthropy, most researchers describe the patterns of women’s giving as different from men’s and characterized by what has been described as “the Six C’s: create, change, connect, commit, collaborate, and celebrate”. It is precisely these qualities that lead to philanthropy that is strategic, engaging and transformative. Working in the field of philanthropy, one is inspired daily by those we meet – women and men of all ages and stages who share a desire to enhance the quality of life for all citizens. On National Philanthropy Day, and every day, our community benefits from their impact. Each deserves our gratitude and respect. 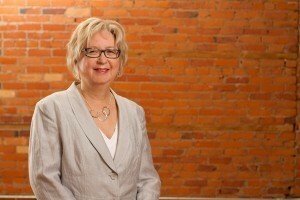 Sheree Meredith is Vice-President of Philanthropic Services at Hamilton Community Foundation. To learn more about Women 4 Change visit hamiltoncommunityfoundation.ca/w4c or call (905) 523-5600. Parenting can be a steep learning curve, but for mothers who have experienced trauma and violence, the new experience of motherhood can be isolating. Enter Mothers in Mind, an evidence-informed intervention program for women with young babies who have experienced family violence, child abuse, neglect, or assault. Administered by the Catholic Family Services of Hamilton, the 10-week parenting program at St. Martin’s Manor saw participation from 18 mothers and their children under the age of four. Supported by a grant from the HCF, the program was also offered to young parents and children in the community. Beyond positive parenting, the Mothers in Mind program is designed to enhance parents’ self-confidence by offering a conducive environment for young mums to share parenting challenges and obtain advice. Reduced stress, isolation and uncertainty were among the outcomes of Mothers in Mind. Program facilitators also observed that the young parent participants demonstrated increased sensitivity to the socio-emotional needs of their children. Beginning with the community in mind, the program also saw participation from community partners, including Public Health, the Children’s Aid Society of Hamilton and Alternatives for Youth. Mothers in Mind encouraged young parents to think positively about themselves as mothers, as one participant remarked. The goal is to continue to run the program once per school year while maintaining the focus on the mother-child relationship to improve infant mental health outcomes. Partnerships with other community service providers will help further shape the program with young parents in mind. This guest blog is from the Bay Area Restoration Council. We have been pleased to support BARC’s efforts to raise awareness about the importance of the environment to a vibrant, inclusive city. 2015 marks a 17-year relationship between the Hamilton Community Foundation and the Bay Area Restoration Council (BARC) – a relationship that has supported the growth of BARC and the restoration of Hamilton Harbour. The Harbour’s watershed covers more than 500 square kilometres. 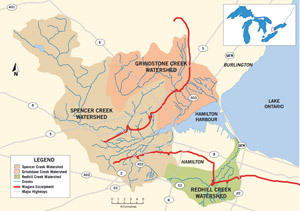 The cities of Hamilton and Burlington, with a population of 650,000 people, are located within and around the watershed area. Since 1991, following a restoration strategy created by the community called the Remedial Action Plan (RAP), BARC has been assessing and promoting clean-up projects in Hamilton Harbour and its watershed. We work with all levels of government and the private sector to keep harbour restoration issues at the forefront of community discussions and decision-making. We deliver school programs, community events and workshops, resource materials, e-blasts, volunteer programs and coordinate popular community planting events. Engaging the community and enhancing public awareness and understanding of the environmental status of the harbour and its watershed is vital to securing the protection and increasing the appreciation of our natural lands. The most recent partnership between HCF and BARC supports our Communications and Learning Project. It marks the adaptation and innovation of our traditional communications role and outreach activities. HCF funding will enhance BARC’s website – the Digital Community Forum – designed to communicate up-to-date, information-rich resources to more and more citizens and organizations, with numerous new ways for educating about water-related problems and participating their collective solutions. The project will also further develop and sustain comprehensive and effective volunteer outreach initiatives – Bay Area Ambassadors and Citizen Scientists – designed to reach new audiences and substantiate those relationships through online features and collaboration. Time restraints or physical limitations that may have once prevented individuals from participating in BARC initiatives have been eliminated; our Project offers opportunities for learning and participation though digital contributions such as blogs, website features, photos and video. Individuals and/or groups will be able to choose the degree to which they wish to lend their efforts and expertise. On behalf BARC and the harbour community, thank you for your very generous and continued support.